The anguish and gloom which afflict the human person are spiritual realities which oppress the intellect and will and which no earthly power can vanquish. There are various sources of darkness which the person experiences but the most needless of all, and the most preventable, is the alienation from self, from God and others brought by sin, the evil which man and woman bring upon themselves by their own free choices. This "walking in darkness" does not end here, however, it ushers in a gloom which is the greatest threat for it is one which can go on forever. Now, in Christ, God has given to man and woman an answer left by the question that is Adam and Eve. Now, by a repentance which is a cooperation with God's gift, man and woman can break free from the oppression and gloom, the reality of evil, which is every sin. This is what is meant by the dire expression "the shadow of death" for it is sin which truly invites death for, as a result of it, man and woman loose the life of justice and love in God which can forever separate them from His light and life which alone can last beyond what we see and know here and now. The glorious light of the sun itself will dim one day forever but brilliant light of God which shines forth in Christ the Savior is eternal. In Christ we now have access to God when we say that we are sorry for sin and hear his response, "Ego te absolvo." For us the power of the Cross is poured forth through the Resurrection life of the Lord in the sacramental life. This is the reason why we always seek forgiveness for the most serious sins, those which are mortal, in Confession which is the opportunity to express sincere sorrow to the One who loves us so much as to give us His only Son on the Cross. 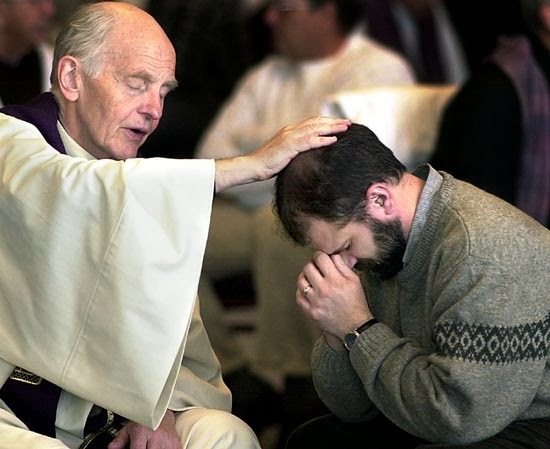 The absolution of Christ in confession restores true light because it gives again God's eternal life of grace. Second Sunday in Ordinary Time: "You are my servant"
What does it mean to be a servant? For Christ it meant doing the Father’s will by dying for our salvation on the Cross as the Suffering Servant for all of mankind. Thus we know that through serving us God demonstrates His love for us. For John the Baptist it meant prophetic proclamation of the Lord Jesus Christ as the Lamb of God. The first quality of a servant is the ability to wait, the virtue of patience. "I have waited, waited for the LORD, and he stooped toward me and heard my cry." Having heard the Lord as a gift through patient attentiveness, a practice of love in prayer, we then have something of meaning to say, a reason for praising Him. "And he put a new song into my mouth, a hymn to our God." 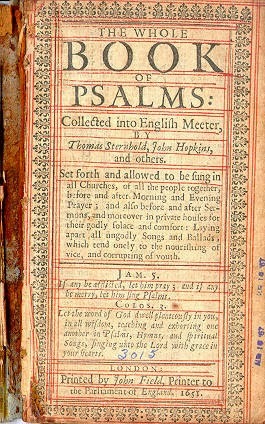 One of the ways that God puts a song into our mouths is through His holy Word in the Scriptures and, as we see here, in the Psalms. The Scriptures direct us back to being with God, to loving Him in daily life by seeking and doing His will. True fulfillment is not worldly happiness or satisfaction but rather doing God’s will. The results of that can be painful as they were for both John who was beheaded and for Christ who gave His life. "Fight manfully" and "make me clean." In Christ through His death on the Cross God fights manfully to make us clean of sin so as to share with us His Resurrection. Fight sin manfully with Christ whose Cross is made effective through forgiveness of sins in Confession. Christ died so that you could live. Fight manfully. Feast of the Baptism of the Lord: "to fulfill all righteousness"
Jesus Christ is the chosen one of God. 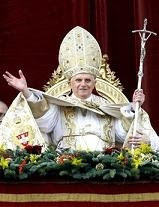 In Him the Father is well pleased. Why does He use the sign of repentance in baptism through the ministry of John? 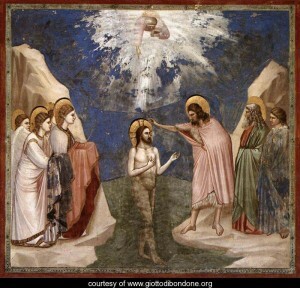 In our liturgy this Sunday we celebrate the feast of the Baptism of the Lord. Although he had no need to repent, being sinless, Christ submitted to the sign of repentance through baptism by John to show that through His Passion, death and Resurrection we now have the means to repent, to be found pleasing to the Father because of Him. 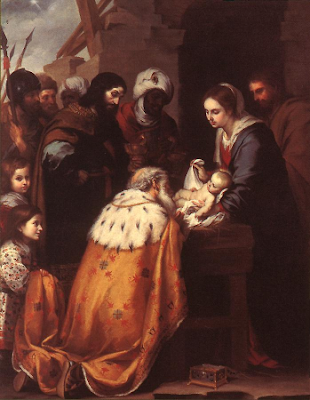 Epiphany and Christmastide: "he has given us of his Spirit"